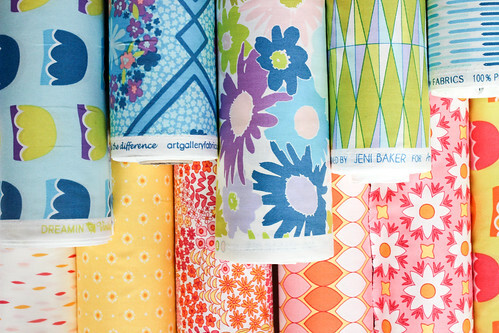 In Color Order: Dreamin' Vintage is Here! I'll continue to add shops, posts, project ideas, and all other things Dreamin' Vintage to the Fabric page for your convenience! Also a quick reminder that our Dreamin' Vintage Launch Party is next week! 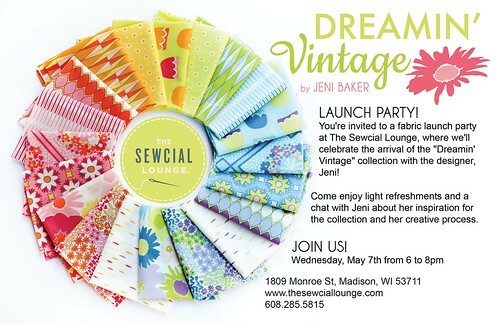 Join me at The Sewcial Lounge May 7th from 6-8pm to celebrate the arrival of Dreamin' Vintage! There will be treats and prizes! You can see the Facebook event here. Hope to see you there if you're local! It's going to be lots of fun! 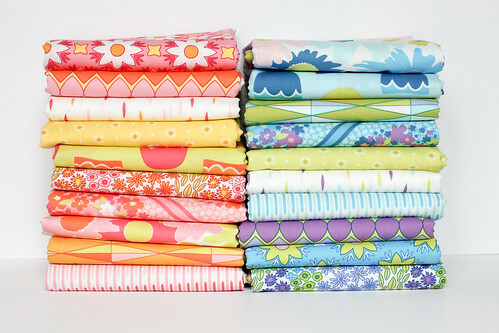 Another fun thing happening with Dreamin' Vintage is over at Pink Castle Fabrics! 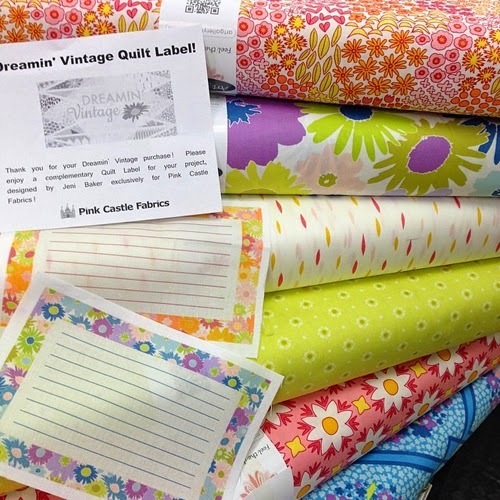 I've designed a couple quilt labels to go with the collection, and you can get one with any Dreamin' Vintage bundle or kit purchase! Pink Castle Fabrics is carrying kits for Golden Afternoon, the free quilt pattern I designed for the collection! Find the kits here. Okay, back to sewing for me! Have a great day! Do you know if any of your online stores are Canadian? They aren't! I haven't found any Canadian stores yet that are carrying it! Lovely line...hope to get my hands on some...I love both colorways! Yeah. I'll get mine from Sew Modern in Los Angeles. It's beautiful. I love this line and I am so inspired to use these fabrics- especially seeing how the line is used in the Art gallery lookbook.Thanks for designing such a wonderful fresh and fun line. We need fabrics like this after this winter. I had hoped that my fantastic LQS would get this in but I think I need to place my online order. I don't want to miss out!